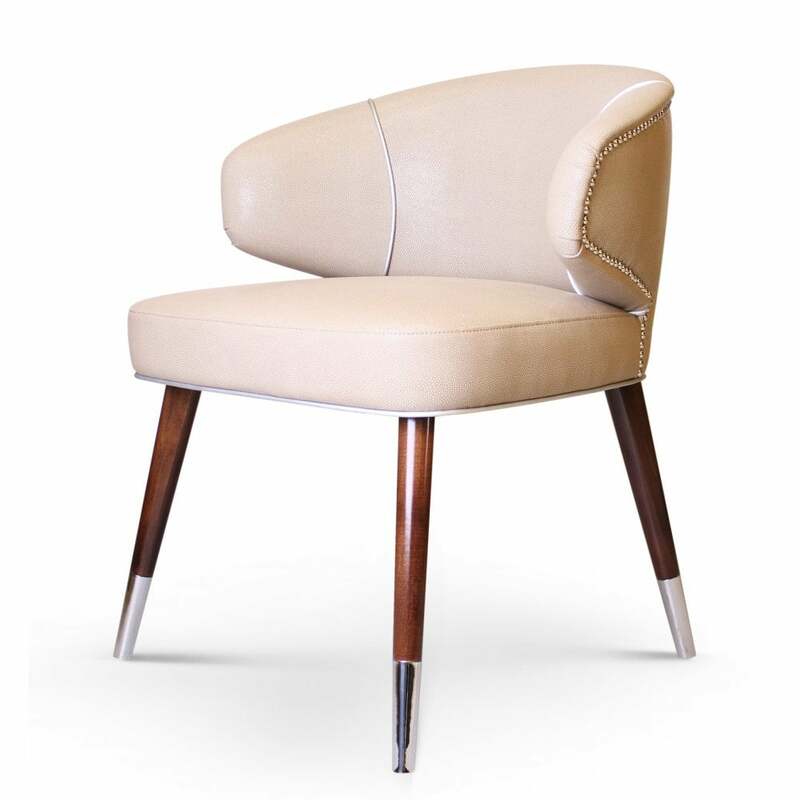 Part of the Century Collection by Ottiu, the Tippi Dining Chair is inspired by 1950’s actress Tippi Hedren. Best known for her role in Alfred Hitchcock’s thriller ‘The Birds’, her fresh style and glamorous looks are realised in this stunning dining chair design. Upholstered in soft leather and finished with brass stud detailing, the strong structure is supported by glossy walnut legs. The deep seat, luxurious padding and curved backrest is created with comfort in mind. This mid-century modern dining chair will suit both modern and retro dining space. Also available in the finest cotton velvet. Get in touch with our team to discuss finish options. Priced for Upholstery: Ottiu Fabric. Structure: Beechwood, legs in walnut wood with high gloss varnish. Details: Nickel plated brass accents, silver piping.